Back in work today, they got my a bottle of champagne for getting my new job! Really going to miss them when I leave. Spent the evening hanging out with the boys as they’re both moving out on Friday. 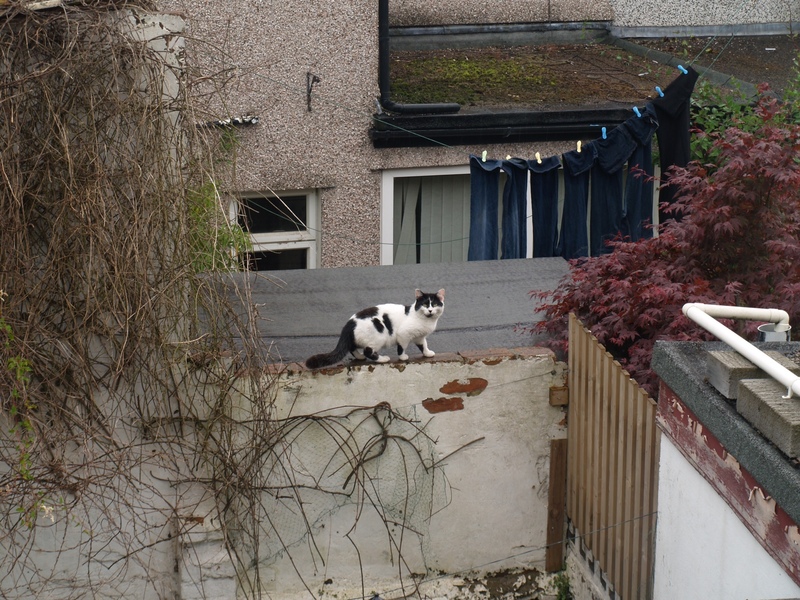 This fluff ball stares at us some days from the fence.. cute though!